Conveniently located within minutes of Boscombe Chine Gardens, Award Winning Sandy Beach, Pier, new artificial reef and many restaurants, bars and shops. Bournemouth town centre is only a 25-minute walk along the beach front. Set within Chinegate Manor, a former Victorian home which has been affectionately restored into luxury apartments, each one is unique with many of the original features retained. 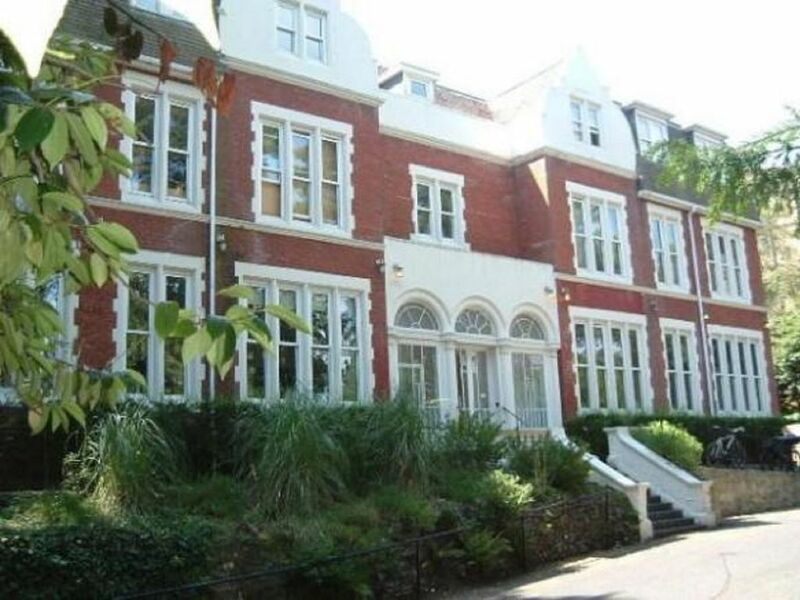 The flat, suitable for up to 4 people has been newly furnished and redecorated. The master bedroom has an en-suite bathroom with shower and the main family bathroom has a bath with shower. The second bedroom has bunk beds. The lounge area has an armchair, sofa and large TV with DVD player. There is free WiFi, NOW TV and a selection of DVDs. The kitchen is fully fitted with everything to make this flat perfect for a self-catering holiday, including a dishwasher and washing machine. There is also a double cycle stand on the decking for the cycling enthusiast. There are many cycle routes along the beachfront and in the nearby New Forest. Flat 1 has its own private entrance on the ground floor at the side of the building. Nice place with helpful owner. Great property. Responsive and helpful owner. Slight let down when no beds were made on arrival! After my contact things happened quickly and the error was put right. TV a bit of a mystery! Needed talking through! Not able to watch terrestrial TV except BBC through an IPlayer app. Wanted for nothing in the kitchen. Really well equipped. All immaculately clean. Thanks Tremain for providing so much! thank you for taking the time in reviewing your stay with us. Once again apologies for the mix-up with our cleaning company. We have ensured this does not happen again. I'm glad your stay, overall was a good experience. A very nice apartment with very helpful owners via email. Light, attractive decor and furnishings with lovely quirky touches. Quiet, peaceful location with lots of garden wildlife. Due to our own lack of skills we did struggle to operate the key safe and the Now TV, but eventually resolved the safe and switched off the TV! Very well equipped kitchen and maybe an oven glove might be useful? Hi, thank you for taking the time to review. Oven glove on the shopping list and will be added to the kitchen. Regarding Now TV, I will be looking into alternatives as I do find it's not the easiest of TV menu' to navigate around. We are glad you enjoyed your stay. Clean and well equipped property. Exellent Kitchen and oven. Convenient location. Helpful hosts. Clean and well equipped property. Excellent Kitchen and oven. Convenient location. Helpful hosts. Wonderful apartment, complete even with beach toys! Lovely apartment, furniture, carpet, towels all look brand new! Complete kitchen/ bbq utilities! Very pleasant stay and friendly in e-mails and how the owners give all the information you need! Joyful garden. I would advise this apartment to everyone! Hi Merel, thank you for taking the time to review and all the best for the rest of 2018. We had a lovely 2week stay the inside was very clean,but when we first approached the front door to our apartment we thought oh! No what have we come too the windows,door and patio was full off cobwebs and winter debri we bought a brush gave it all a good brush down then it was lovely,the apartment inside was beautiful we loved it.and had a wonderful time would defo come back. Hi Sandra, thank you for providing feedback. I'm so sorry the outside decking was untidy. I will contact the cleaning company and ensure that its tidy for future guests. Thank you for clearing up the mystery of our new arrival, the broom :-) Please send me your bank details so I can refund. In the meantime, thank you for being great guests. Hope to see you again and have a great remainder of 2018. The apartment was comfortable and convenient. The apartment was clean and easy to manage except for the owner having to come to sort out TV connections. Even then we found the TV almost impossible to use despite a visiting techy son trying to help. Others may not have this difficulty. A small detail - the cutlery was for giants, heavy and huge! Thank you for your review, all feedback is gratefully received as Kathryn and I continually look to further improve our guests experience when staying with us. We totally understand the somewhat complicated use of Now TV and the soundbar. We will be addressing this in readiness for our next guests, providing clearer tv instructions. Once again, thank you for your feedback and all the best for the future.